Food waste, Tetrapak cartons and batteries will be added to the list of recyclables. The current black and green wheely bins (for general waste and garden waste resepctively) will continue to be collected on alternate weeks. Special silver-coloured caddies will be provided for food waste recycling. (A small caddy to keep indoors and a large lockable one to keep outdoors), Food waste will be collected weekly. 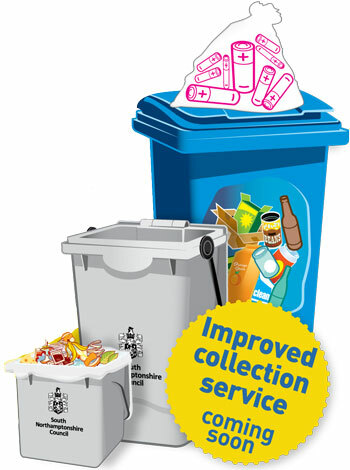 Click here for comprehensive information about the new recycling scheme.